Check out Max Tan's new hours! Can’t make it in to tan? No worries, you can get your daily dose of sunshine through our Instagram. Since 1993 we have provided our discerning tanners with the latest in tanning technology, meticulously maintained beds, and sincere customer service. We offer a variety of tanning equipment, tanning packages, and memberships as low as $13.99 a month—there is something for every budget. 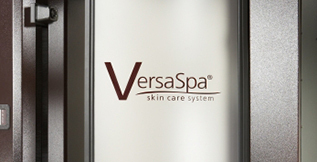 We offer three types of UV Free Spray Tanning- VersaSpa and VersaPRO are spray tanning both systems that helps you bronze, hydrate, and smooth your skin instantly. Lastly, we offer Custom Spray tans where you’ll have a one-on-one session with a trained Spray Technician to determine the color you desire—whether you prefer an all-over bronze glow, or a lighter tone. Because we love to tan too, we understand the importance of skin care, Vitamin D, and smart tanning. Max Tan opened Max Spa in 2010 featuring Derma-King skin care products. Max Spa offers complete spa services conveniently located in our 40th and Old Cheney location. Everyone’s skin is unique, and therefore, each service is customized to each individual. We want to provide the best tan possible with the best customer service. Max Tan is the largest family-owned tanning salon in Lincoln. Whether you are looking to just build a base tan prior to your next getaway, or like to be tan year round, you can take your tan to the MAX in any of our UV Tanning beds, or with aUV Free Spray Tan. Max Tan has the perfect color waiting just for you. We offer tanning beds for every tanner level. Whether it’s low, medium, medium plus, or high pressure you’re after, we have the bed for you! Transform your skin in just minutes. Bronze, hydrate, and smooth fine lines in one session. Enjoy the process as much as the results and relax with a wide-open interior design. With a relaxed and comortable atmosphere, your Spray Tan Specialist will tailor your experience to your specific wants, giving you the best results. Tan for as little as 46 cents a day! Join Club Max and get the best price for tanning. We offer nothing but the finest in skincare treatments, including customized facials, Oxygen Facial Treatments by Intraceuticals, waxing, and mink lash extensions. Take care of your tan! We carry a variety of tanning product lines, from intensifiers to optimizers, facial tanners to leg enhancing bronzers. There’s something for everyone and every need. Max Tan was the first tanning salon to offer no appointment tanning in Lincoln over 20 years ago. Now we offer so much more than UV tanning. 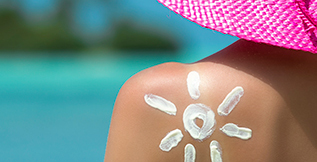 For UV-Free Custom Sprays and Max Spa services you can now book your appointments online! Everyone is different! For your convenience, we offer three types of tanning bed options. Classic beds with a higher UVB rays. Higher level of UVA and less UVB. Available in both laydown and standup versions. Higher level of UVA and less UVB. PLUS all the bells and whistles.